A team of Japanese scientists have succeeded in breaking the record for wireless data transmission in the terahertz range. 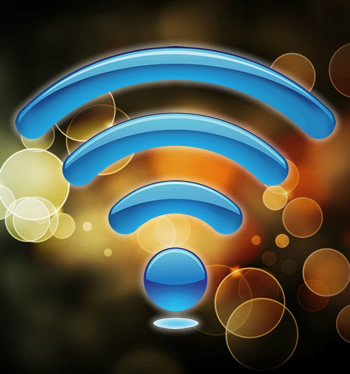 The researchers were able to achieve speeds that are 20 times faster than typical Wi-Fi used today. Researchers from the Tokyo Institute of Technology have created special hardware that is capable of transmitting data at 3 GB/sec, or roughly 20 times faster than traditional Wi-Fi at frequencies that reach 542 GHz. They used a 1 millimeter-square device called a resonate tunneling diode that creates smaller voltages with higher current. Increasing the current made the device resonate and send the desired signal. To do this, the scientists used what they called the “T-ray” band, otherwise known as the section of electromagnetic spectrum that falls between 300 GHz and 3 THz. This unregulated spectrum range is between that of microwave and far-infrared and could potentially be used for Wi-Fi networks at some point. Realistically, terahertz Wi-Fi is just a proof of concept at this point and would likely only work over a range of about 10 meters. In theory, however, it could support data rates upwards of 100 GB/sec which is about 15 times faster than the next generation 802.11ac that is currently in development. Scientists are hard at work to further refine the project with plans to extend its range further into the terahertz spectrum and increase power output. The full disclosure of information from the researchers has been published in Electronics Letters.